The publications by Shree Datta Devasthan Trust are a treasure of knowledge, Vedic philosophy and ideology beneficial to entire mankind. Normally, the religious and philosophical books are very hard to read for common people with little or no interest in such subjects but all books published by the trust are presented in a very easy-to-understand and interesting language. This makes it possible for even a person with no religious or philosophical background to grasp the subjects and find them very interesting. The preachings in these books enable a common man who reads them to improve the quality of his life, live a virtuous life as preached & described in Dharma and achieve God while living in a family without the need for penance and Samadhi which in any case are far beyond the capabilities of a common human being. 1. Guruwani: Guruwani is a compilation of the preaching of His Holiness Shree Ramakrishna Swamiji. There are 15 volumes of Guruwani. Guruwani is available in various languages like Marathi, Hindi, Kannada and Gujarati. 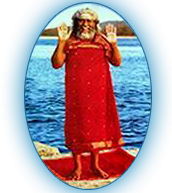 Each Guruwani comprises of small chapters on various subjects like Dharma, Dreams and their meaning, Sin and Virtue etc. 2. Amritkalash: Amritkalash is compilation of the preaching of His Holiness Shree Ramakrishna Swamiji. There are 6 volumes of Amritkalash. Each Amritkalash comprises of in-depth knowledge of one specific subject like Body and Mind and Sadguru and Satpurush . 3. Gurugauravika: Gurugauravika is a compilation of personal experiences which the devotees of His Holiness Shree Ramakrishna Swamiji have had in their life. There are 2 volumes of this book. 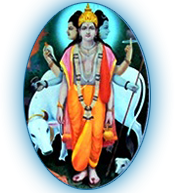 The books prove how jagrut (alive) the Divine power is and how God can manifest Himself in the form of Divine people like Sadguru to help and protect His devotees. The people whose experiences are given in these books range from farmers to people with doctorates, and from very poor to wealthy people. 5. Dharmadarshan: This book is a compilation of preaching by His Holiness Shree Ramakrishna Swamiji regarding Religion. This book is based on Shreemad Bhagwat Geeta. The other publications include a beautiful monthly calendar with pictures of various Gods, Godesses and His Holiness Sadguru. The pictures in the calendar include pictures of Gods such as Lord Vitthal of Pandharpur, Shreenathji of Gujarat, Godess Bhavani Mata of Tuljapur and so on. The calendars also has a divine thought of the day for each day, the thoughts are complied from the preaching of His Holiness Shree Ramakrishna Swamiji. All the publications can be made available to you if you email to sddtprakashanvibhag at gmail.com.